« Why choose J Davidson to scrap your car in Manchester? 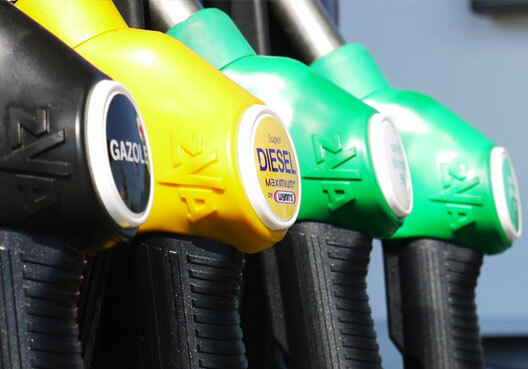 Historically diesel cars have been sold as the greener option, as they put out less CO2 than petrol engines, but their emissions of nitrogen oxides are actually higher, and the government are now cracking down on this with a supplementary tax for new diesel cars. So what are the alternative fuels and how significant of a change do they represent for road vehicles in the immediate future? Electric cars are the most obvious alternative – and the most visible, when you see one plugged into a charging point or hear the whirr of an electric motor driving past you – but you might be surprised by how many cars around you are already not running on standard petrol or diesel. All-electric vehicles charged using green energy or renewable power are the long-term goal of automotive design, but they are still a way off from becoming the go-to technology. Recent years have seen massive strides in battery capacity, maximum speed and maximum range between charges, as well as high-speed recharging and much more public charging infrastructure, including free power points in some public car parks. Hybrid electric vehicles (HEVs) are still a common alternative though, and these still have a combustion engine on board as a backup, so you’re never left stranded if your battery runs flat in the middle of nowhere (although you can still run out of fuel too…). LPG and CNG, to use their more common acronyms, are two of the alternative fuels that have been in fairly widespread use for many years already. They are still fossil fuels, so they don’t have the benefit of being a renewable resource, but they score relatively well in terms of pollution, with LPG somewhere in between petrol and diesel, while CNG is quite closely comparable to diesel when it comes to emissions. As with HEVs, there’s usually still a conventional fuel tank on the vehicle too, and in some cases this is used to start the engine and set off, before the alternative fuel ‘switches on’ when the engine hits a certain rpm. Biofuels are produced from biological matter, and while this makes them a renewable fuel source, there’s a carbon footprint involved with growing crops for biofuels and also a worry that it takes away from the amount of edible food crops we can grow. However, the good news is that biofuels can be used up to a certain percentage even in conventional petrol and diesel engines. So if you’ve ever bought the eco-friendly option when refuelling your car, you may have already used up to 5% biofuel content in unleaded petrol and 7% in diesel, without realising you were filling up with a partly renewable fuel. Ultimately we may move over to fully electric vehicles as battery capacity and charging speeds continue to improve, but it is first steps like this that mean the most for the cars already on the road, and give most ordinary motorists a way to be more eco-friendly without needing to retrofit an LPG tank onto their car.